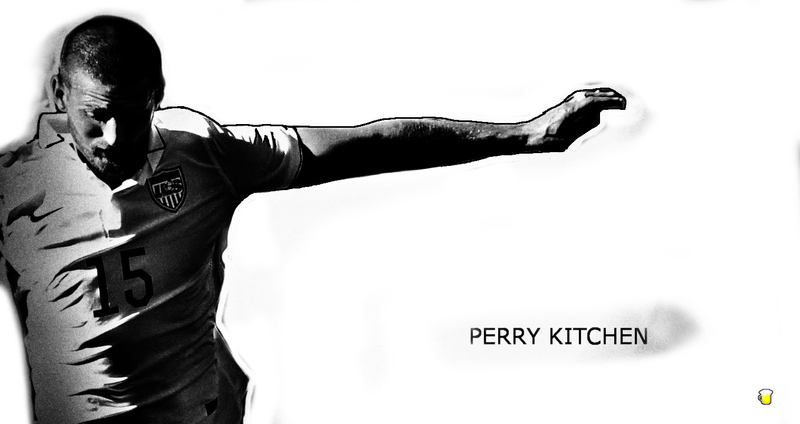 After four years and over 11k minutes in MLS (just about most in that time), 23 year old Perry Kitchen got his first national team cap in a 2-0 win over Panama. Kitchen is one of those players that you wish could find a stable team with a great coach. Instead he's been with DC United. I think he's got a great future if he can work his way out of the muck that can be MLS - and - work past a somewhat more marketable Wil Trapp. There are some things you inherit when you are born a Hoosier. One is probably something related to basketball. Another is work and granite and Breaking Away. Last one is... (I forget the last one, wait... now I remember. Hint: MLS hasn't bothered with a 2014 season summary on his profile page). It wasn't those things that got Kitchen noticed last year though, he popped up on Jurgen Klinsmann's radar because of his 5 goals and 4 assists in a deep midfielder role. He looked pretty good against Panama at home, while Trapp (his competition for the next few years) looked out of sorts playing away in Chile. I've gotten familiar with both over the past couple years and if I had to pick right now, I'd go with Kitchen. And I like Trapp. Both of them need to get thinking beyond MLS.